I thought today would be the perfect opportunity to share trying out something I bought months ago and haven’t even so much has opened as I seem to do this a lot with products. I think it was more meant for festival season but I think this product in particular would also double up well as an experimental icy winter kind of look so now it’s November and it’s edging more towards being really bloody cold, it’s time to try it out! 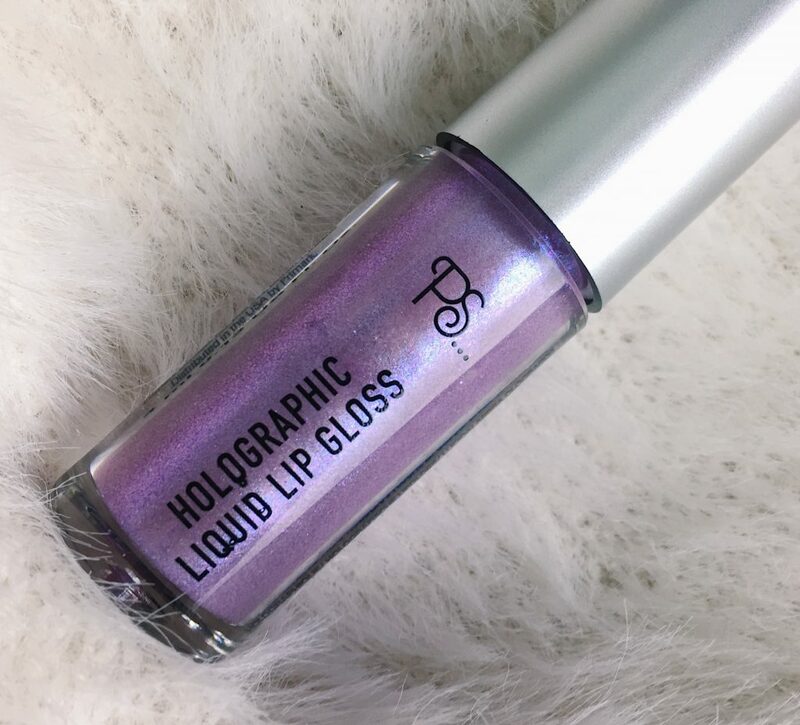 Obviously applying the lip liner first, firstly around the edges and then lightly colouring in the rest of my lips just to give it a stronger base, I found it wasn’t really holographic, just a bit of satin lilac. The consistency is nice and creamy but I wouldn’t say it was the most flattering colour for the lips, personally I’d rather use it as an eyeliner! After this I popped the gloss on top and found it to come out completely clear despite it looking really promising from the outside which is a shame but not the end of the world as the glitter is going to cover the colour of the gloss anyway. Lastly, the glitter! I didn’t want it to go everywhere so I dabbed a cotton bud into the pot and then onto my lips to apply it which was a good call as I think I would’ve made quite a lot of mess otherwise. It applied quite nicely and looked good at first but after a few seconds went a bit patchy and it wasn’t sticking even nearly as well as I’d hoped. I didn’t keep it on for long so I can’t comment on its longevity but I imagine as soon as you’d start talking it’d all fall off or into your mouth (yuk! ), it was easily removable though. Overall I would not recommend this for the lips in all honesty, I think the products individually are nice but used for other things e.g. the lip liner as an eye liner, the gloss as a clear one to go over another lip liner/matte lip stick and the glitter for possibly an eye look or on the cheeks at a festival or party! I do absolutely love the glitter though, it’s got so many different colours in and it’s quite mesmerising! 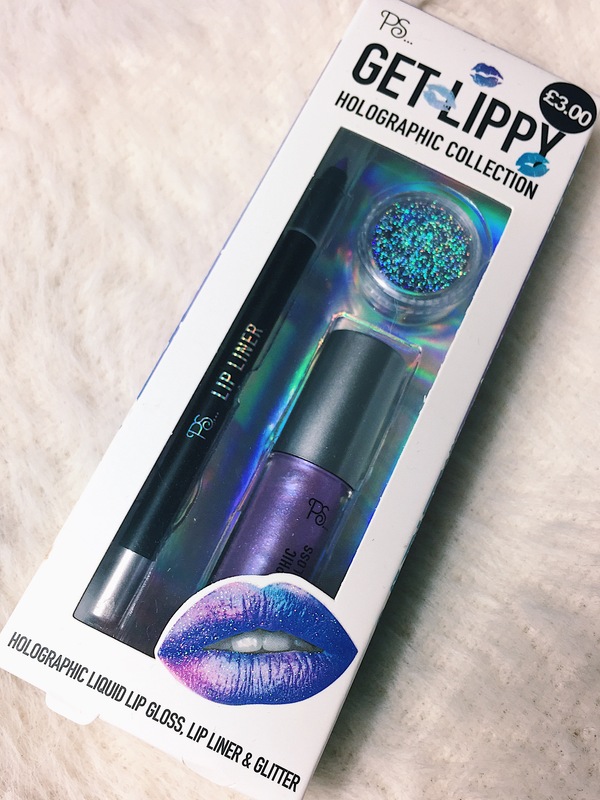 This is actually the first Primark beauty product I’ve been a bit disappointed by so please don’t be put off by this review as they have some other fabulous things you can read about on my other posts here and here. Have you tried anything from Primarks beauty ranges? Beauty On A Budget: Lacura Skincare! Vampy Halloween Voxbox From Influenster! "Bath Bake Love Bits & Bobs!" I suppose this could be okay for a funky party or even Halloween but I see what you mean about the finish! But you can definitely tell it’s a cheap quality. I suppose you get what you’re given though for the price! The colour looks amazing, I do love that, agree that it’s definitely a winter feel. Every time I’ve gone into Primark I stare at this, hoping it might be amazing. It’s such a shame the product doesn’t work as intended to. But glad you will find ways to use it, as the glitter is gorgeous! It’s sad the product is not good. The look is pretty crazy…definitely for the Buenos Aires night would be a 100% success!! ???? The colour is gorgeous, and I could definitely see myself using this at a festival or at an event, but it’s definitely not an everyday look.. ?? 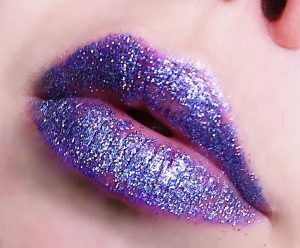 ?‍♀️ I wore glitter on my lips for Halloween, and it’s the most stressful and drying thing in the entire world! ?? These things always look so cool but I do wonder about the practicality of them! It’s a shame you were disappointed as the glitter does look really pretty! As amazing as your photos look I agree a product like this sounds better suited for eye-makeup. I couldn’t stand the texture of it on my lips for long! I can see what you mean about the finish, I always think Primark makeup is great for testing out colours you aren’t sure if you’ll suit because it’s not breaking the bank, these lip kits would be amazing for Halloween and Christmas time! I kept seeing it in store but just couldn’t bring myself to buy it! I’m not really a Halloween person so I would literally have nothing to wear it for. I don’t think it’s just my kind of makeup look. It looks quite good in the photos! Shame it doesn’t stay on that well and the glitter falls off. Always room for improvement! Woah look at all that glitter there! It looks so amazing and fun! Would love to see a look with that makeup! It’s not that bad but I wouldn’t purchase it after this haha ? It’s quite an odd one! Oh wow this looks really cool! I wish I had the guts to try something like this. I think your photos make it look really amazing but it’s a pity you don’t think it’s practical! I actually seen this a whole back and debating whether to purchase or not, so glad I didn’t! It was only going to be for a bit of fun, but even still, it doesn’t seem to be worth it! It was the lip gloss that done it for me, it looks absolutely beautiful in the packaging! 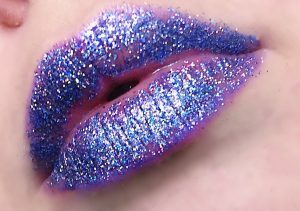 Such a shame it doesn’t look as good on the lips?